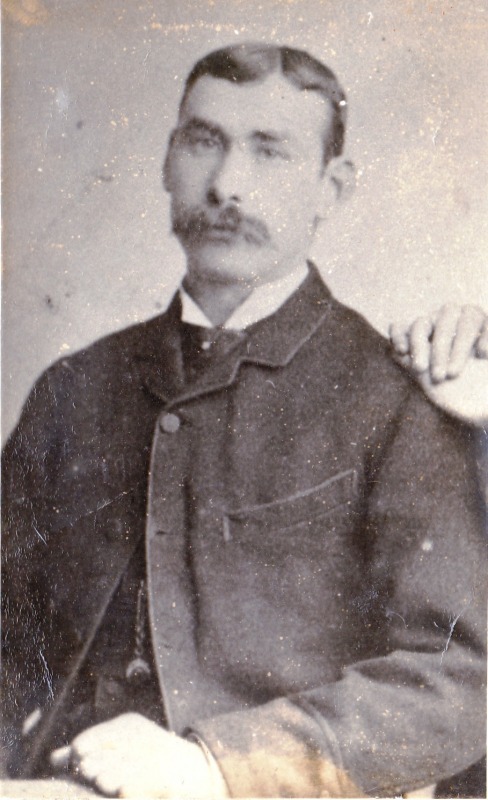 John Mullany was the husband of Bridget Fanning. 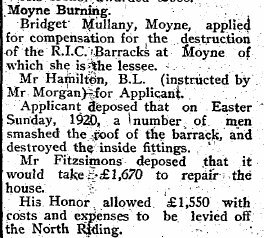 She was the daughter of Michael Fanning and Catherine Ryan of Lissaroon and my ggggrandfather’s first cousin once removed. 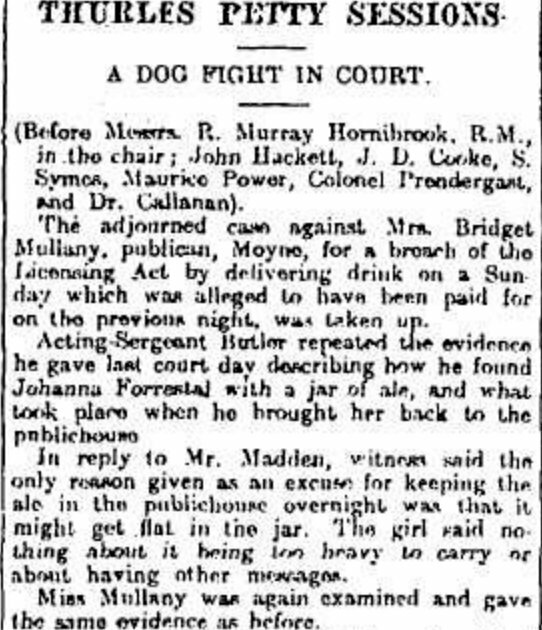 Bridget was often in court for breaches of the Licensing Act. The transcripts make very entertaining reading. 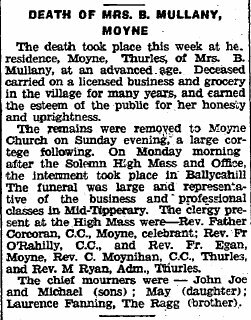 After her husband died Bridget moved to Moyne with her children. Not sure if they are related but they could well be. 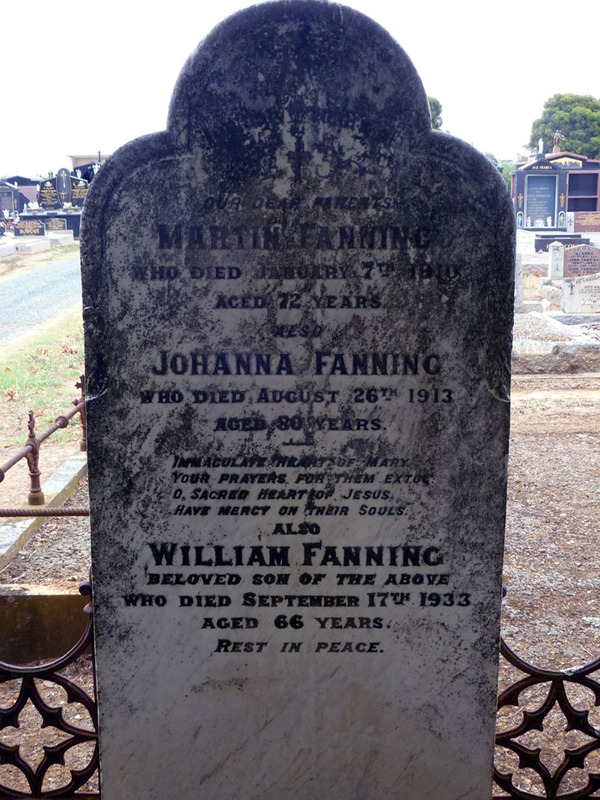 Martin Fanning died, age 72, on 7 Jan, 1910. Johanna Fanning died 26 August 1913, aged 80 years. Johanna had come out to Victoria on the Dirigo with 337 other single young women. The Dirigo arrived in Mar 1859. Johanna was 26. There were other Butler young women aboard who may well have been related to Johanna: Jane 22, Mary 23, Mary Rose 17, Rose M 16. But Butler is not an uncommon surname . Martin Fanning married Johanna Butler in Victoria in 1864. 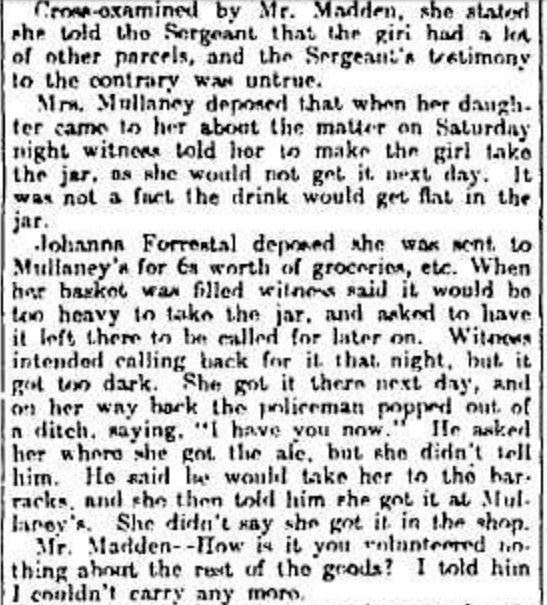 Her parents were John Butler & Margaret O’Donnell. I could not find any baptism records for Johanna in Ireland. Martin and Johanna had at least three children: John 1868-1960, William 1867-1933, & Johanna. Johanna died in 1940. They farmed near Kyabram at a place called Taripta. Martin’s parents were William Fanning & Margaret Grace from Co Tipperary in Ireland. 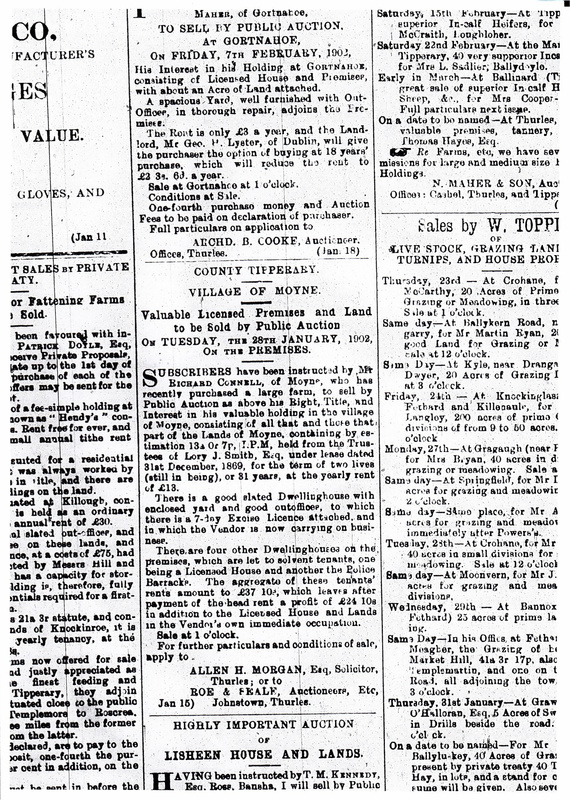 William Fanning of Loughmore married Margaret Grace of Moyne on 5 Feb, 1827. Witnessed by Thomas Kerin & James Grace. They lived in the townland of Castletown in the parish of Moyne, Co Tipperary north. In The Tithe Applotment Books and Tithe Defaulters lists there is a James Fanning living in Moyntemple. This was in 1827 & 1828. Possibly the father of William or a brother. In Griffiths Valuations for Castletown, printed in 1849, William was living on 42 acres in Castletown townland. 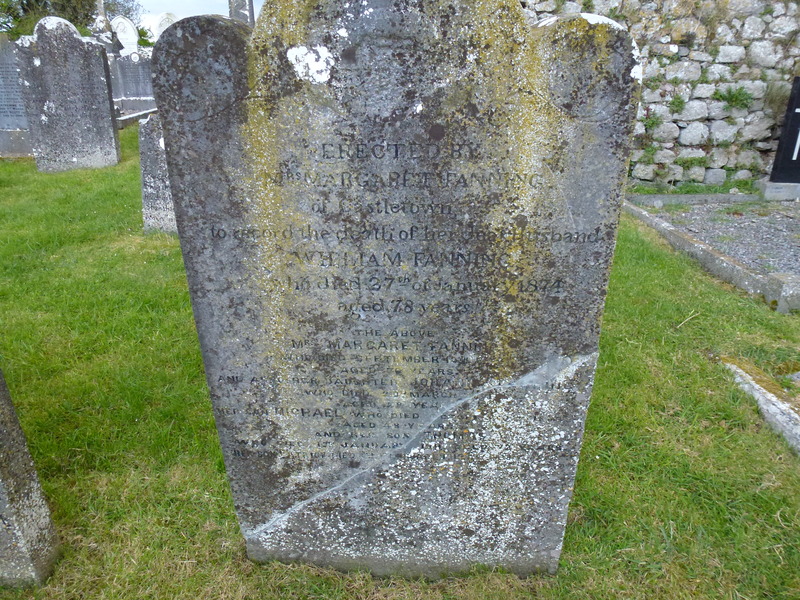 William and Margaret Fanning nee Grace are buried in Moyne Cemetery. William was a farmer and died 27 Jan 1874, age 78. His wife Margaret died 10 Dec 1883, aged 74. (her death date & age from the civil record). They had the following children: Patrick 25 Dec 1827, Michael 20 Dec 1829, James 26 July 1832, Martin 12 Nov 1834, Thomas 19 Nov 1838, and Judy (Johanna) 29 Mar 1842. All these children were born in Moyne Parish. Patrick Fanning married Mary Kennedy and they lived in Castletown and are in the 1901 census. They do not appear to have had any children. Mary died in 1928. She was a widow and left 700 ponds to Patrick Kennedy. Most likely her brother. I haven’t been able to find any marriage or death records for James Fanning. Thomas did not marry and Judy or Johanna died age 28, single. 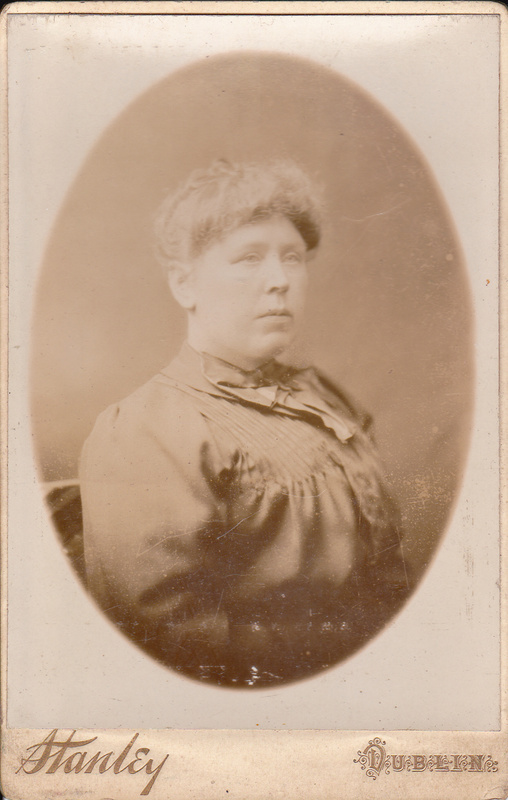 Michael married Johanna Shanahan of Lisdonowley on the 15th Feb1885. He died on 10 Mar 1887, aged 47 (civil death record dates & age). According to the 1911 Census they had one child who was not living in 1911. His wife Johanna died 5 Feb 1930 aged 77. After her husband’s death she lived with her brothers in Lisdonowley. 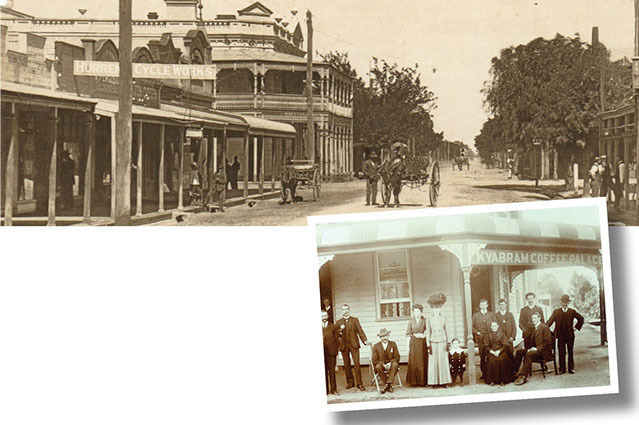 Martin emigrated to Victoria Australia and settled near Kyabram. 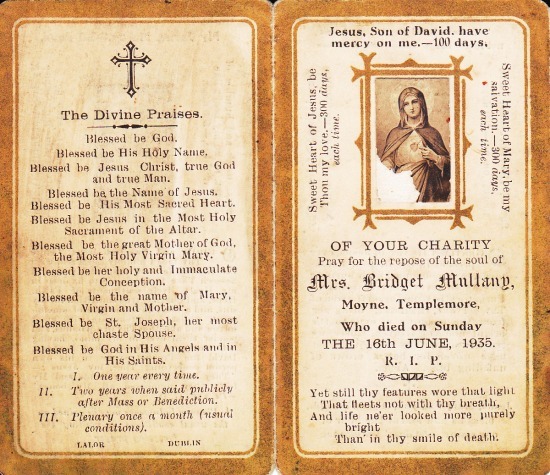 These Baptism records involving a Fanning bride or groom or a Fanning sponsor are from the National Library of Ireland’s online records. 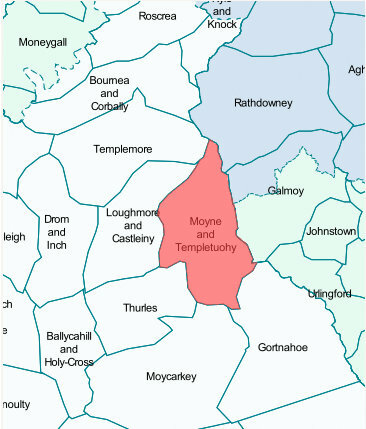 They cover the period 1809 to 1881 in the Parish of Moyne Templetuohy in the Diocese of Cashel & Emly in Co Tipperary Ireland. Rootsireland (a very good subscription site) has Baptism records for this parish from 1809 to 1899, but as far as I know, they are not yet available online. I have added any Fanning civil birth records I have. This means that from 1864 it should be possible to find a church Baptism record as well as a civil birth record. 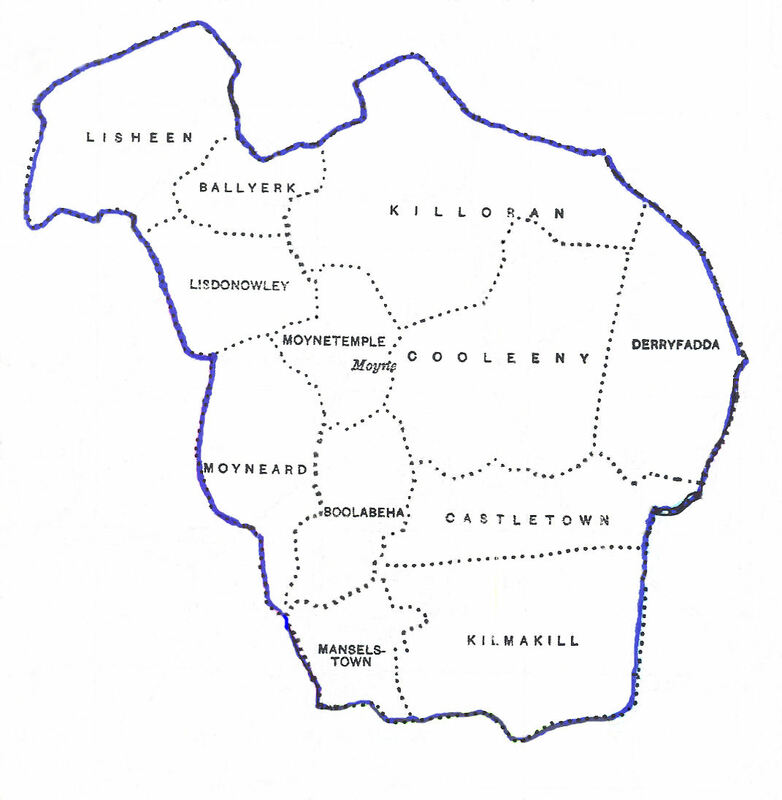 Places in Moyne & Templetouhy in 1901 & 1911: Ballyerk, Boolabeha, Castletown, Cooleeny, Derryfadda, Killoran, Kilmakill, Lisdonowley, Lisheen, Manselstown, Moyne town, Moyneard, Moynetemple, Ballyknockane, Ballylahy, Barnalisheen Boolaree, Clonbuogh, Cranagh, Lisdalleen, Drummin, Lissanure, Longorchard, Templetouhy town, Togher, Tullowmacjames. This list may help with some of the place names in the records. Any entries with an asterisk I know are related to my Fanning family. Different priests spelt the same place names and names differently and I suspect it was all phonetic. I have written these names as close to the original as possible. The early records are particularly valuable, as the priest recorded the address and occupation of the parents. As I recorded the baptisms, there was a very noticeable decline in the number of baptisms in the 1860s, no doubt as a result of the famine and emigration. The priests also were the moral watch dogs of their parishioners and illegitimate births and births where the parents weren’t married and affairs were duly marked with obvious disapproval. I have collected the most outrageous of the priests comments and will publish in another post. It seems the Irish were under the yoke of the English as well as that of the Catholic Church. 19 Oct 1813, John of Thomas Long & Bridget Fanning, farmer, Derafadda, sp: Denis Meagher & Ellen D? 14 Aug 1817, Joseph of Joseph Bourke & Ellen Fanning, Barna, sp: Patt Stoakes & Mary Stoakes “Extra Matrimonium”. 9 Feb 1818, John of Thomas Fanning & Ellen Hayes, Cooleeny, farmer, sp: Daniel Maihan & Mary Bulfin? 25 Jul 1819, Thomas of Michael Carroll & Cath Fanning, Templetuohy, taylor, sp: Joseph Lalar & Bridget Duhuily? 7 Nov 1819, Richard of James Fanning & Mary Hickey, Cusleiny? sp: ? & Mary Laher? 24 Aug 1821, Judith of Thomas Fanning & Eliza Hayes, sp: Michael Tobin & Bridget Bulfin? Crosses next to the entry indicate an illegitimate child or the father not being the biological father or some other moral irregularity. There are quite a considerable number of crosses in the register. 19 Feb 1826, Elllin of Patt Maher & Cath Fanning, sp: Michael Maher & Margaret Gurboy? 1 Oct 1826, Mary of James Fanning & Margaret Hickey, sp: William Hickey & Margaret Manton? 11 Jan 1829, Michael of Patrick Maher & Catharin Fannin, Lidilee?labourer, sp: Bridget C? 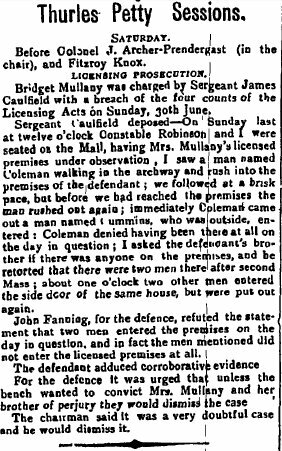 11 Jul 1837, Pat of John Brien & Anne Whelan, Cooleny, sp: James Fanning & Bridget Wall? 26 Dec 1867, Johanna of Patrick Carroll & Judith Fanning of Killanigan sp: Patrick Carroll (father) Civil birth record, birth date 14 Dec 1867. 3 Feb 1870, Daniel of Patrick Carroll & Johanna Fanning, Killanigan sp: Patrick Carroll father a farmer. civil birth record birth date 21 Jan 1870. 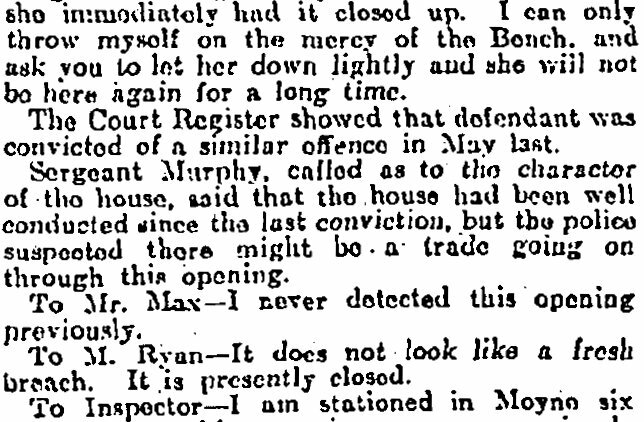 3 Sept 1871, Mary of Daniel Ryan & Margaret Kenny sp: Mary Kenny & John Fanning? 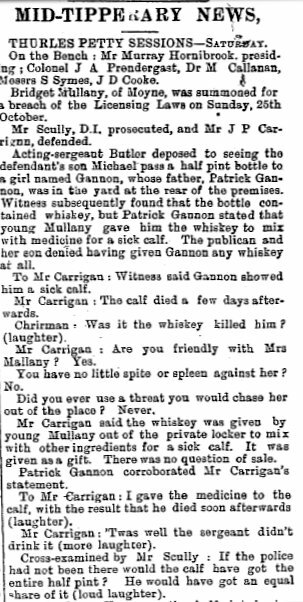 4 Jan 1872, Thomas of Patrick Carroll & Johanna Fanning, Killanigan sp: Patrick Carroll, father, a farmer. Civil birth record, birth date18 Dec 1871. 7 May 1878, Thomas of Robert Collier & Maria Fanning sp: Thomas Collier & Margaret Kealy? 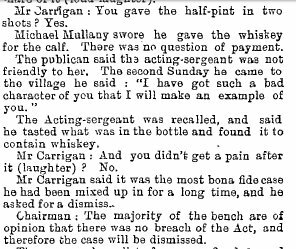 20 Sept 1879, Johanna of Dan Ryan & Margaret Kenny sp: John Fanning & nano Carr? 25 Apr 1882, Bridget of Edmund Carroll & Mary Fanning, Loughisle sp: Edmond Carroll, father, farmer civil birth rec birth date 23 Apr 1882. 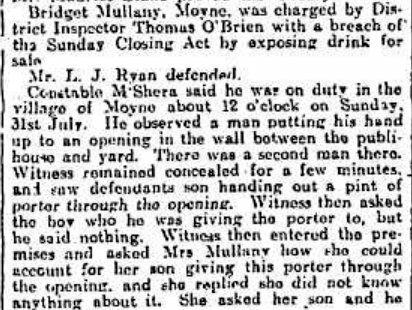 *20 May 1900, John of James Fanning, farmer & Anne Hogan, Lisdonowly sp: James Fanning, father, civil birth rec birth date 2 May 1900. The following marriage records for the Parish of Moyne Templetuohy are from Feb 1804 to Nov 1880. 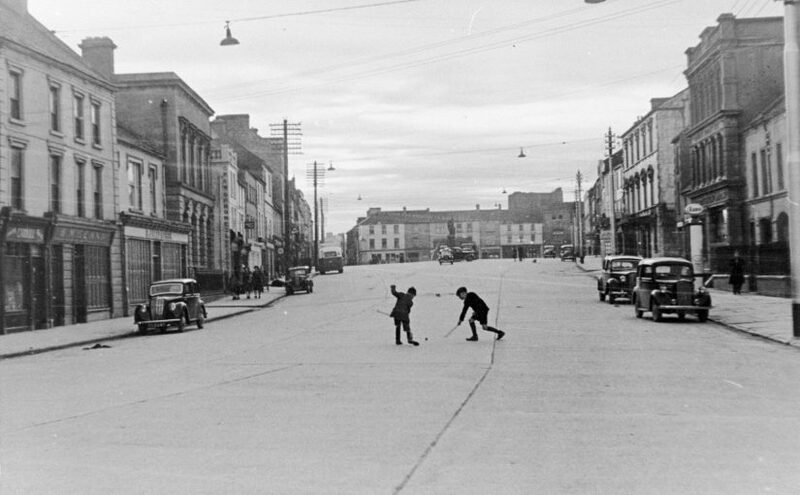 They were taken from the National Library of Ireland site. They are online and free. 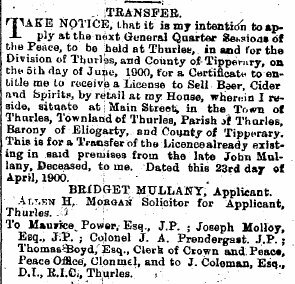 Rootsireland (a very good subscription site) has marriage records for this parish from 1804 to 1897, but as far as I know, they are not yet available online. This list may help with some of the place names in the records. Any entries with an asterisk are related to my Fanning family. *21 May 1871, Patrick Ryan & Honoria Fanning wit: Patrick Ryan & Bridget Cormack. Patrick is a widower from Thurles and a shopkeeper. His father is Thomas Ryan a farmer. Hanoria is from Lisdonowly and her father is Patrick Fanning. Extra info from civil record. Married in Moyne RC church. 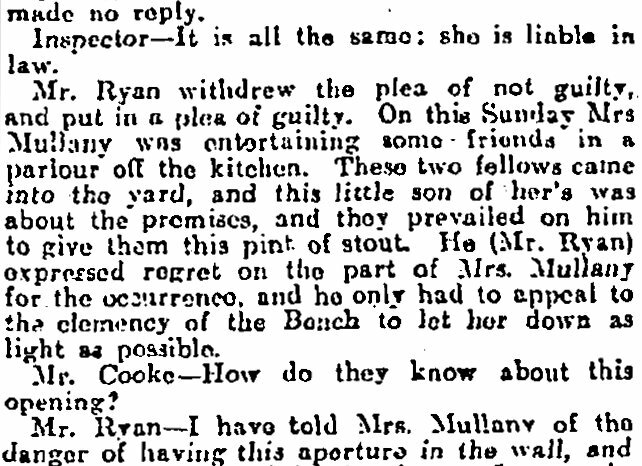 9 Feb 1880, John Bannon & Mary Fanning wit: John Maher & Mary Butler. John is a farmer from Ballycahill and his father is Patrick Bannon. Mary is from Clondoty and her father William Fanning is a farmer. They were married in Loughmore RC Church. Both fathers living at time of marriage. Extra info from civil record. 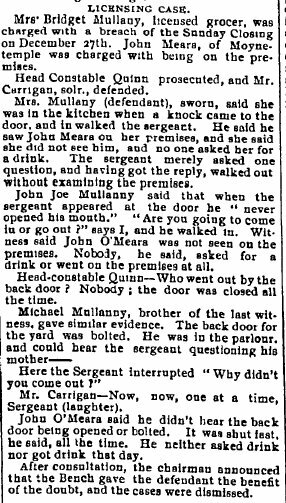 15 Feb 1885, Michael Fanning & Johanna Shanahan. 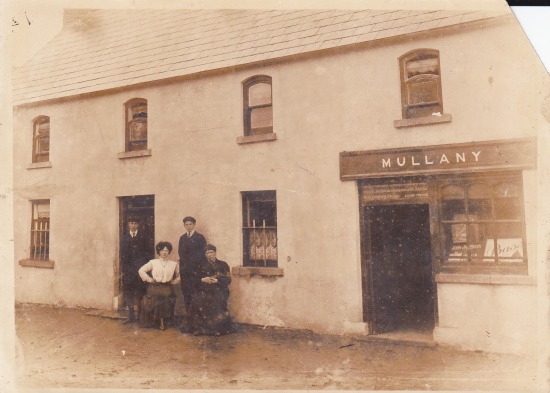 wit: William Maher & Ellen Shanahan.Michael is a farmer from Castletown and his father was William Fanning. 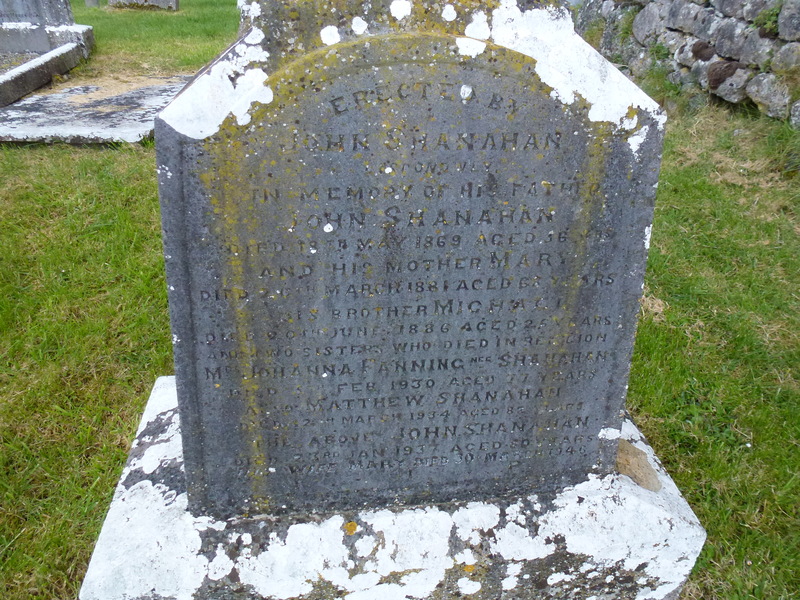 Johanna was from Lisdanowly and her father was John Shanahan. Civil rec. Both fathers deceased.